Wondering what your team will look like? You will be part of the Marketing and Sales applications team that takes care of the life cycle of marketing and sales related information systems. Do you work accurately? That’s perfect since you’ll take the lead throughout different project phases, form feasibility until final implementation. This also means that you’ll actively monitor the project in terms of budget, planning and scope. In order to succeed, you have the capability to understand business needs, to question them and to translate them into specifications for effective IT solutions. You are quality focused? Good. During the different project phases you’ll aim for a qualitative integration in our existing IS/IT applications. Furthermore, you actively help in safeguarding the overall application architecture landscape, and involve required parties in case of non-adherence to our vision. 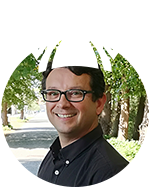 Do you dispose of an analytical out-of-the box mindset? If you can also tick this one, this job will probably suite you well. You will autonomously drive your project(s) yet equally understand when to escalate. Furthermore you consider structured handover to the support team as an integral part of you project(s). We are looking for someone with a master’s degree in Computer science or similar through experience. You preferably have experience in leading IS/IT projects of considerable size and complexity. It’s an asset if you also have experience (or knowledge) within the domain of business process management, more specifically in marketing and sales processes. Are you also familiar in a number of key principles within the world of CPQ (Configure - Price - Quote)? Do you have project management certifications? That’s definitely a plus! Important to know: You will work in an international environment and will be communicating with our customer centers and product companies. This means that occasional travel can be required. 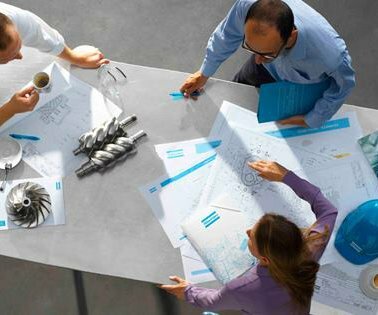 As an employee at Atlas Copco, it is important to have great communication skills. This allows you to maintain excellent relationships with your colleagues and stakeholders. Furthermore, you are a true team player which involves that you encourage knowledge sharing between colleagues. Last but not least: you are a customer and quality focused professional. 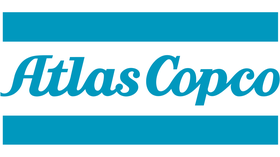 Atlas Copco offers you more than a job! We support your professional and personal growth. Atlas Copco empowers you to seize opportunities, to grow and to take more responsibilities on (inter)national level. Priority at Atlas Copco is the major focus on innovation, the attention to an excellent work-life balance and to professional progress. Furthermore, we offer training opportunities which entitles you to plot your own career path. Over time, you can choose to manage larger projects and budgets, to become team leader or to take up a position within another division. It’s self-evident that you get an attractive salary and a wide range of fringe benefits. Your talent and passion for the Industry 4.0 deserve it. In that way you provide a significant contribution to make the world a better place to live. The Atlas Copco group has its headquarter in Stockholm, Sweden and is operating in more than 180 countries. The compressor department of the group has its international head office in Wilrijk (Antwerp): Atlas Copco Airpower. As a market leader in air technology we develop and manufacture a large range of industrial compressors and related products. Je hebt een eerste persoonlijk gesprek met de HR consultant. Er volgt een tweede gesprek met de aanwervende manager en één of twee personen van jouw team. Je legt enkele assessments af. Er volgt een derde gesprek met een director of vice president. Als alles goed verloopt, volgt er een contractvoorstel. "De toegankelijke sfeer binnen het team geeft mij als beginneling een gevoel van zekerheid."